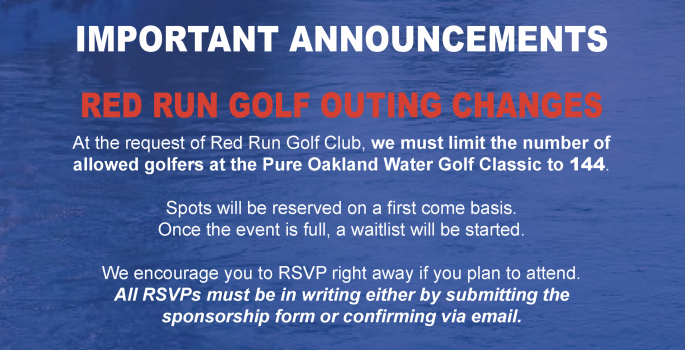 This is a one day golf event that attracts business people from all over the tri-county area to support a fundraiser for Pure Oakland Water. Teams come together at the Red Run Golf Club in Royal Oak for 18 holes of golf, sharing a lunch and dinner and a chance to network. The money from this fundraiser serves our many programs and educational opportunities to advance environmental education in our region.